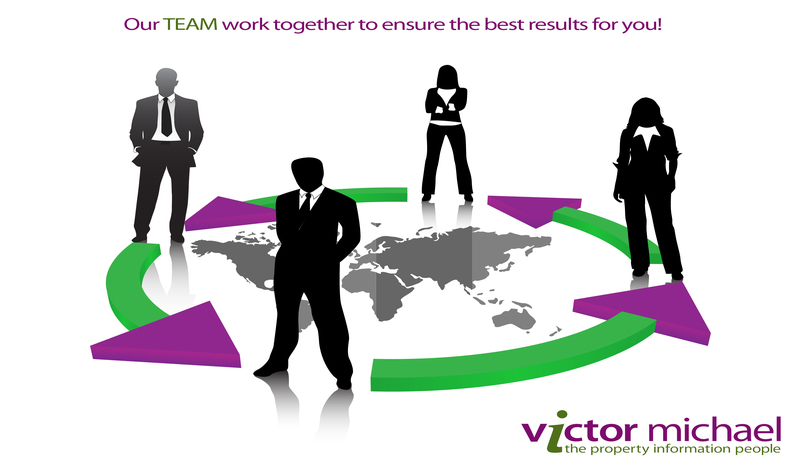 Victor founded Victor Michael Estate Agents back in 1988 when he first opened an office in Kings Cross London. After few years, Victor Michael was a strongly established estate agency in Stratford, near Maryland Station, where the Head Office and Management Department is trading today. With an immense passion for the property industry, always innovative and improving the services given to the local community, Victor has extended the coverage areas for Victor Michael and opened 3 more offices in Leytonstone London, Canning Town London and Woodford Green Essex. After nearly 30 years of experience, Victor has a wide knowledge of all disciplines of property and his reputation as a hard working and trustworthy businessman is well respected in the East London community. Victor's mission is to provide all Victor Michael's clients and customers a first class service, keeping the local property market alive and busy. Very highly motivated professional with over 9 years experience in the Property Industry and over 16 years of experience in Mass-Media and Marketing. Diana graduated from the University of Journalism and followed her dream to become a Journalist. After 10 years of reporting news and working in the Mass-Media Industry from different countries, she has decided she wants to learn and know more about Marketing hence 3 years later she has and MBA / PGDM in Marketing. Since 2010 Diana is part of Victor Michael Team, starting as a Sales Consultant in Canning Town and Leytonstone Office, became an Office Manager in 2011 covering Woodford Green Branch and in January 2016 she has taken over the Business Development role. Customer service-oriented, she has extensive experience and knowledge of both Sales and Lettings and is a member of The Royal Institution of Chartered Surveyors (RICS), The Association of Residential Letting Agents (ARLA), The National Association of Estate Agents (NAEA) and The Guild of Professional Estate Agents. Areas of expertise: Property Industry, Sales, Mass-Media, Business Management, Business Intelligence, Marketing, PR, Creativity, Social Media, SEO, Project Management, Event Organisation, Media Handling, Management. Diana can also speak Romanian, French, Spanish, Italian and German. Chris spent many years in the financial industry before joining Victor Michael over 11 years ago as a lettings negotiator. After two years she became a branch manager and after four years Chris was the area manager for Victor Michael. Chris is now responsible for the function of human resources, staff training and company's policies and procedures. Paul joined the company in 2014 as the branch manager of the Leytonstone office. He brings with him over 20 years of sound Sales and Lettings knowledge and has previously worked for large corporate and independent estate agencies. Piyush started with Victor Michael Estate Agents in 2008 as the junior negotiator of the Stratford office and became an expert in both Sales and Lettings industry. Piyush also speaks Hindi. Abu has worked for over 11 years for Victor Michael gaining great residential lettings experience. He now heads up the sales and lettings office at Canning Town which services Canary Wharf, Docklands and the city. Jay has worked at Victor Michael for almost 1 year bringing with him exceptional knowledge and experience in the Sales department. He now manages the Sales at Canning Town and Stratford Offices. Taher has worked for Victor Michael for over 10 years and heads the accounts department and deals with all financial matters related to the group. Nila Mistry –Nila has worked for Victor Michael for over 4 years and deals with all accounts enquires ranging from paying invoice, Landlord payments, preparing claims for court proceedings and bank reconciliation. Kay Khatri – Kay has been with Victor Michael since 1991 and is a strong backbone of the company and its accounts department since its inception. Victoria Webb - Manager - Victoria has been with us since 2013 stemming from a property background in residential sales, lettings and property management. Victoria is also an Associate member of The Guild of Professional Estate Agents. Simi Chandel - Simi started with Victor Michael in October 2018 coming from a Property background including Lettings, Administration and Property Management. She also has advanced experience in Room Lets across London and Essex. Paige Joseph – Paige has been with Victor Michael since July 2018 and started as an Office Administrator dealing with the day to day running of the office. She has since moved to the Property Management Department to enhance her knowledge and experience in Property Management. Paige is also an Associate of The Guild of Professional Estate Agents. Auste Igna - Auste joined Victor Michael in January 2019 being a property manager with a vaste experience in Guaranteed Rentals, Residential Lettings, Property Management and Maintenance. Auste speaks fluent both in English and Lithuanian. Izabela Wisniowska – Izabela started at Victor Michael in March 2018 coming from a financial background based in Poland. She has also studied four years in building and civil engineering and is currently studding in Business Management. Izabela is both fluent in English and Polish.